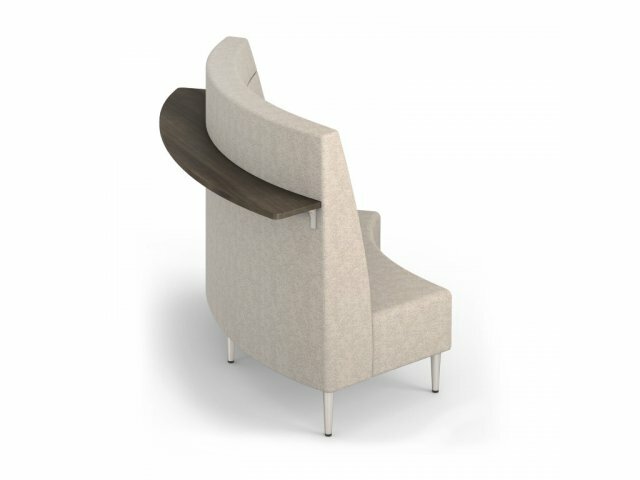 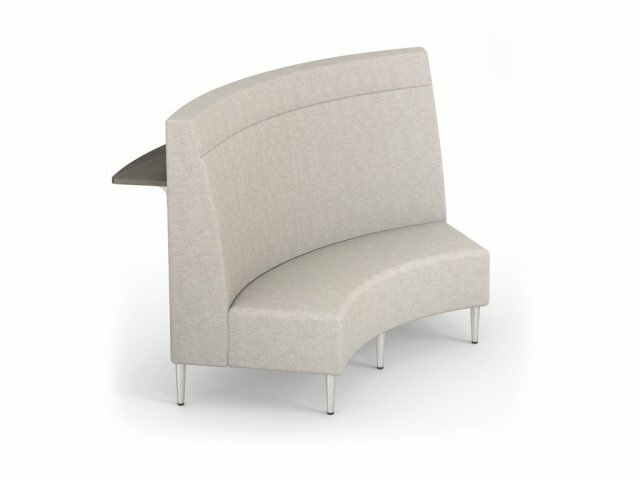 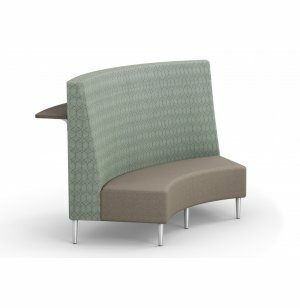 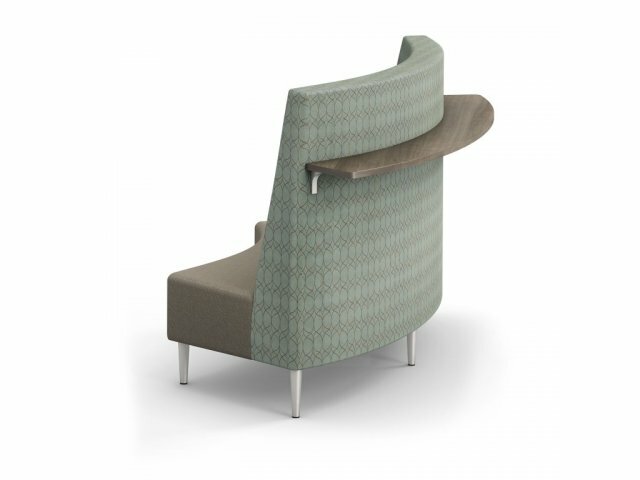 If you are looking for a way to create private meeting areas in an open-plan office, a curved banquette is just the thing. 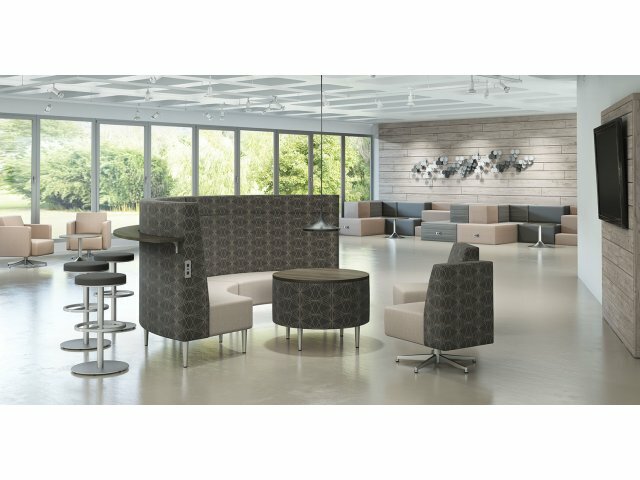 The back panel separates work spaces, while also providing an additional work surface to help maximize work areas. 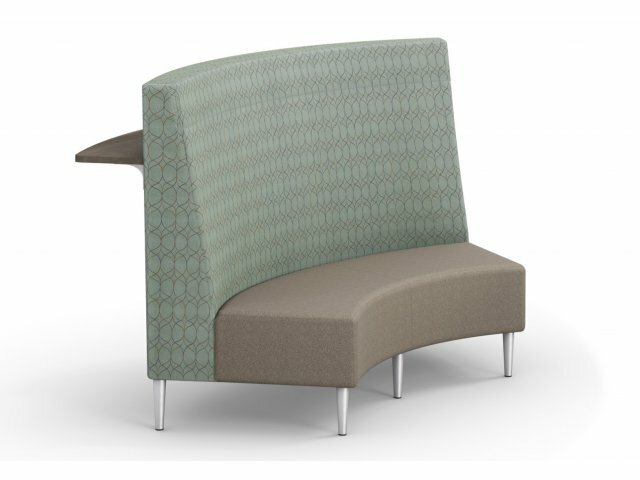 Space Saver: Rear shelf offers an extra work space or storage shelf, without taking up any extra room.